First, I want you to know a client is the most important person in the world to us. You’re reading this right now because you are considering bankruptcy but you are concerned how it will affect your future or if you will lose your car or house. The truth is most people don’t lose anything but their debt. After filing bankruptcy, you may become debt free. No more calls, no more lawsuits. Suddenly, the world feels a bit brighter and filled with possibilities. Filing bankruptcy is not failure. It is a unique financial planning tool that can change your life. But that word bankruptcy…When you think of the word bankruptcy, do you get a sick feeling? It is okay; most people do. No one looks forward to filing bankruptcy. But unfortunately, a great deal of people have no other choice. I know I didn’t. Yes, that’s right. I filed bankruptcy before. And guess what? It is not nearly as bad as the word sounds. When your bills have gone unpaid for months and you continue to earn the bare minimum just scraping by, hiring an Orlando bankruptcy lawyer is sometimes the best option. Or maybe you are up to date on paying your bills since you have been withdrawing from your 401K and have finally come to the realization that you just can’t keep up the payments anymore. A great many people think they should enter into a program with a debt settlement company or a credit counseling program before filing bankruptcy. The problem is most times these companies get you into a worse situation than before. 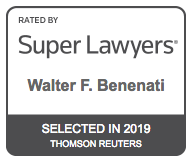 The Benenati Law Firm is the best. I can’t speak highly enough about their staff. Walter and their team were excellent helping me in my case. They answer all questions, answer the phone immediately every time, and they offer an awesome price. They are very knowledgeable with all laws. I’m amazed how fast my case was handled and done. 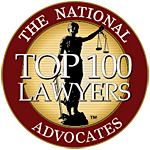 I will continue to to use the Benenati Law Firm in the future. I would definitely recommend to my family and friends. Thank you Benenati Law Firm for helping me restart my life. There are others that may be reading this right now that think they are either too young to file bankruptcy or scared to file because they heard they will lose their car or family and friends tell them not to do it. I want to breakdown all the misconceptions and give you the truth during a free consultation with me. I want to share with you my own personal experience with filing bankruptcy and it how it can eliminate your debt, stop harassing debt collector calls and let you sleep at night again. Our Orlando Bankruptcy Attorney Firm helps clients obtain debt relief by filing Chapter 7 or Chapter 13 Bankruptcy and we will continue to help our clients restart their lives. We understand that most unpaid debts are the result of medical issues, loss of job, divorce or bad luck. Many of our clients even find themselves in a situation where they are being sued by a debt collector; CACH, LLC, Capital One, Chase Bank, Portfolio Recovery and Midland Funding LLC. Did you know that if you file bankruptcy, these debts and most judgments against you will most likely be discharged in an Orlando Chapter 7 bankruptcy? You are probably in a situation where you are trying to figure out what to do. You have probably been thinking about filing bankruptcy in Orlando and Kissimmee for quite some time, but you were worried about what you have heard about filing bankruptcy. Stop worrying. Most people recover from a bankruptcy on their credit report within two years. The Orlando Bankruptcy Law Firm of Walter F. Benenati, Credit Attorney P.A., has a commitment to aggressive, relentless advocacy on behalf of each client to stop creditor harassment and to help individuals and families get a fresh start. Though as aggressive as we may be in defending your rights, you are not going to see us parading on websites or advertisements looking tough. WE DO NOT HAVE LAWYER EGOS. We understand what our clients are going through. We treat our clients with respect and compassion. That is how we do business. Whether you are the real estate agent that has not sold a property in months, the construction worker trying to put food on the table to feed his family, or the janitor down the street working two jobs, we have devoted our professional careers to helping our clients with their problems and take extreme pride in the results we achieve for them through Chapter 7 or Chapter 13 bankruptcy. If you are feeling overwhelmed by your debts, we can help. We are not a law firm with twenty lawyers where you will get lost in the shuffle. In our bankruptcy law office, WE DO ALL THE WORK FOR YOU WHEN WE FILE YOUR CASE. Trust our dedication to provide effective representation while focusing on your needs. Like our slogan says, “Life Has A Restart Button.” Let us help you restart your life. Call us today at 407-BANKRUPT (407-777-7777) or complete our online form to reset the clock and discuss your need for debt relief in a free office consultation with experienced Orlando, Kissimmee, and Sanford Bankruptcy Attorneys.